Carmella doesn’t know her friends as well as she thought. It was very easy for me to like Carmella. While she is certainly smart and clearly a loyal friend, I also admire Carmella’s quiet strength. She isn’t easily swayed by people and events around her. She’s clear headed enough to wait out the chaos and see to the heart of the matter. When she finds out that Sadie and Ryan have broken up, and Sadie is now marrying someone else, Carmella is understandably worried. However, rather than rushing to take sides by doing or saying something rash, she patiently listens to both sides of the story and tries to be as supportive as she can to both of her friends. Unfortunately, the truth behind Sadie and Ryan’s breakup might be more than Carmella can handle. Carmella hasn’t had a lot of romance in her life. However, Carmella doesn’t obsess over this. Instead, she seems to be content to wait until she meets the right person. When Ryan and Carmella run into each other in San Juan, the sparks of attraction between them are subtle, but clearly there. Carmella is understandably confused by her feelings, and Ryan’s interest in her. After all, she’s known Ryan for years, and he and Sadie were together for most of that time. Carmella can’t deny her changing feelings for Ryan, but she doesn’t want to lose either of her best friends. On top of all that, Carmella is certain that her friends are hiding something from her. The secret they’ve kept might just cost them Carmella’s friendship. I eagerly anticipated discovering how such an unusual situation would be resolved. I must say that Sadie and Ryan’s relationship didn’t make much sense to me. While it is clear that they care for each other, their feelings are not remotely romantic, or haven’t been for a long time. I have a hard time understanding why they would stay together for so long when neither of them was happy in their relationship. When I learned about how they started dating, their relationship made even less sense and was a little hard to swallow. Despite this issue, I really enjoyed how the story ended. I can’t say much without spoiling the story, but I will say that Carmella, Ryan, and Sadie all find their way to happy and very satisfying endings. I really enjoyed reading Better Than Chocolate. 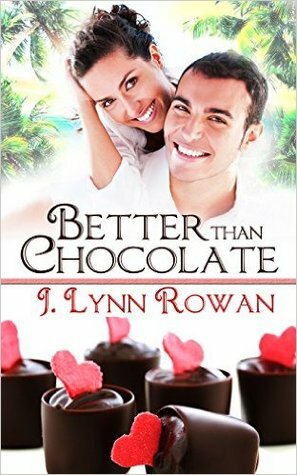 I recommend it to anyone looking for a sweet romance that is fun and refreshing.